Bolivia Potosi 8 Reales 1652 "Maravillas Shipwreck" 3 Full Dates! BOLIVIA POTOSI 8 REALES 1652 “MARAVILLAS SHIPWRECK” 3 FULL DATES! 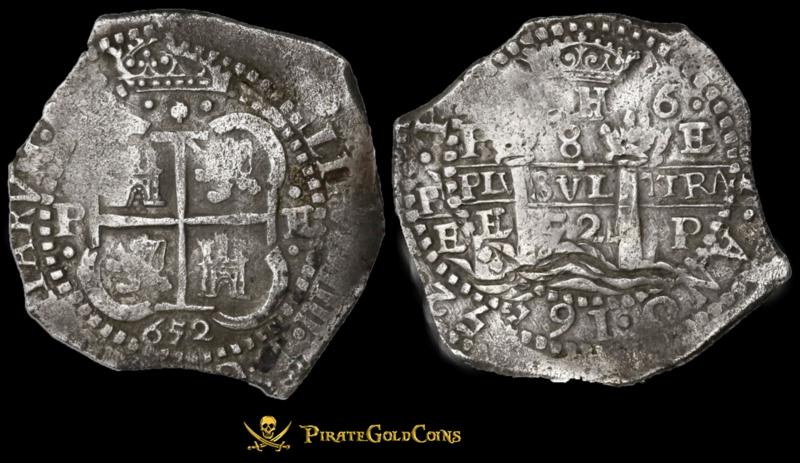 TYPE SILVER COB TREASURE COIN This gorgeous 8 Reales has beautiful toning throughout and is a nice example of the Post-Transitional type (VIII/B, 1-PH-6 at top). This Cob is from the famed Shipwreck “Maravillas,” which sunk in 1656 off the coast of Grand Bahamas Island and comes with Marex tag #91-8R-0408. The Obverse has a FULL CROWN (extremely ever seen) and the Mint “P” for Potosi, with a complete and FULL CROSS!!! Even the Lions and Castles are displayed in full, along with three quarters of the Tressure. 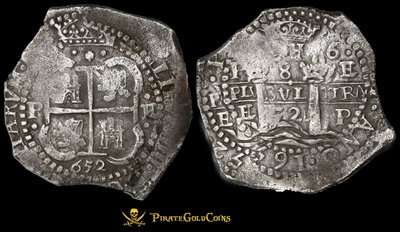 There are partial legends (part of HISPANIRUM & PHLLIP IIII), assayer H, and a Complete & FULL DATE “652.” The Reverse also displays almost a complete CROWN, along with full details and a good portion of the Legends (ANO 1652 = Year of 1652). The pillars are also almost complete. Just a gorgeous nicely toned Shipwreck Piece! (no corrosion).